False friends are words in two languages that look or sound similar but are different in meaning. The English word constipated (which means in Spanish estreñido) and the Spanish word constipado (which means that you have a cold) are examples of false friends. 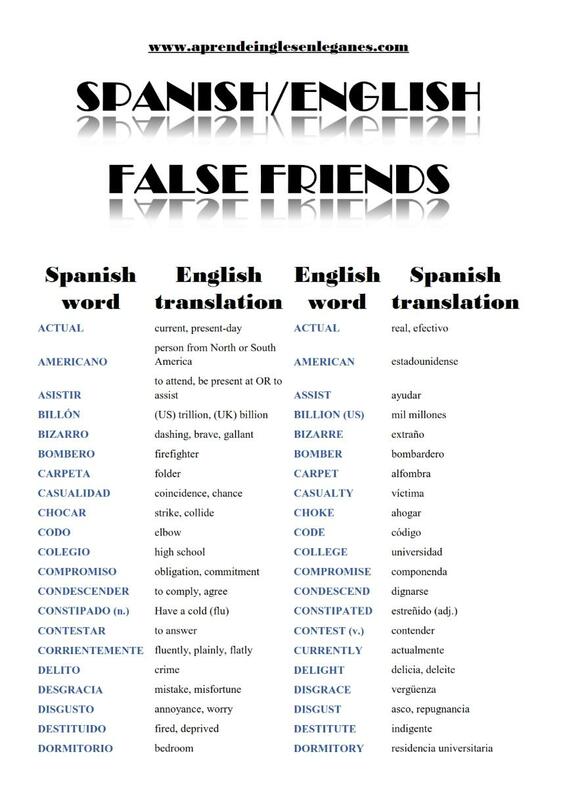 Below you will find a list of the most common Spanish / English false friends. 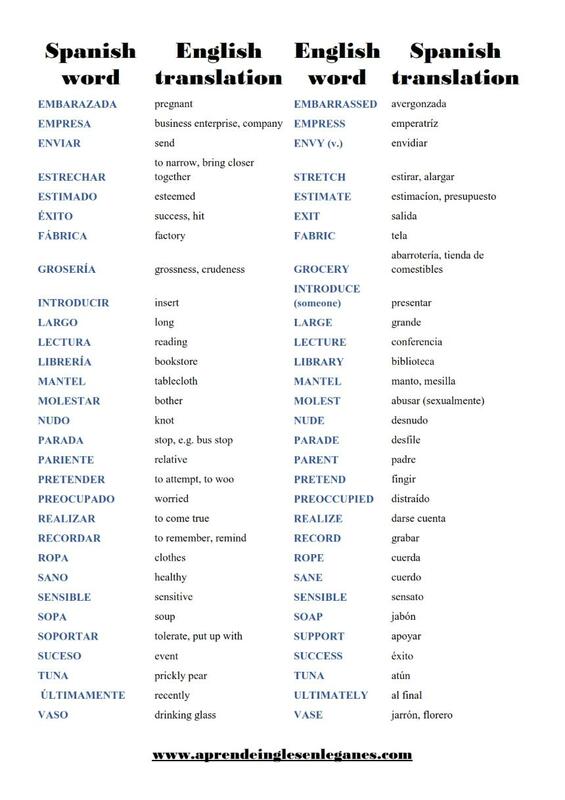 You can download this vocabulary sheet in PDF format by clicking on the PDF icon below.